Our distributors on the west coast of the US displayed the latest Stanhay products at the World Ag Expo in February. Top attractions were the new ProAir and the Seven which has been adapted to gently handle coated lettuce seed and trialled successfully with growers in Arizona. The Seven offers growers a simple to use and low maintenance planting solution for coated lettuce. With the latest version of the electric drive system in development, this will give further functionality to growers to alter spacing from the tractor cab from row to row and shut off individual rows. Thanks to all who visited the booth. Stanhay returned to the LAMMA show in Peterborough on the 17th January 2018 displaying the ProAir for the first time in the UK along with the new company branding. 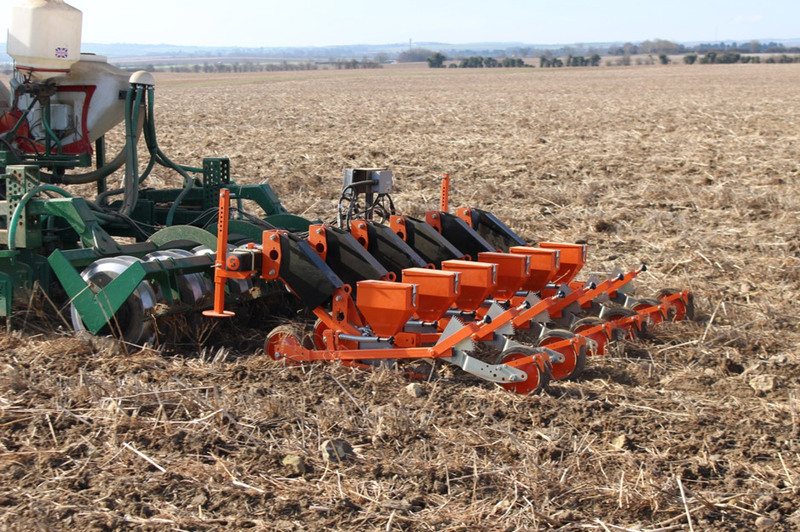 The response was overwhelmingly positive with growers liking the benefits of the smaller, lightweight chassis design, increased reliability and ease of use offered by the new flexi-drive and depth control solutions. A number of customers also took the opportunity to get their spares orders in before the spring or get metering units booked in for a refurbishment. Unfortunately, the great British weather led to the second day being cancelled but thanks to all those who visited us on day one.